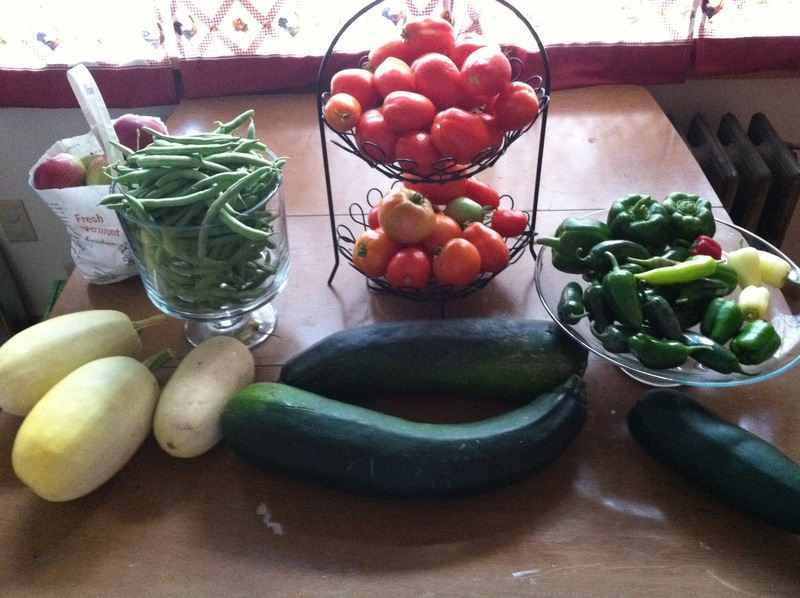 When I look at all of that delicious, fresh, vegetable goodness on my table I see not only zucchini, spaghetti squash, tomatoes, hot peppers, green beans and apples, but I see salsa for a Mexican fiesta in January and zucchini bread on a cool fall morning. I see a pasta dinner with no noodles and a green bean casserole (that is my favorite GF Recipe) on Thanksgiving morning. I see money that I will not have to spend and meals filled with fresh, delicious and local ingredients. In fact, I was inspired to make an entirely local dinner on Saturday night that featured vegetables from my stores not even shown here. 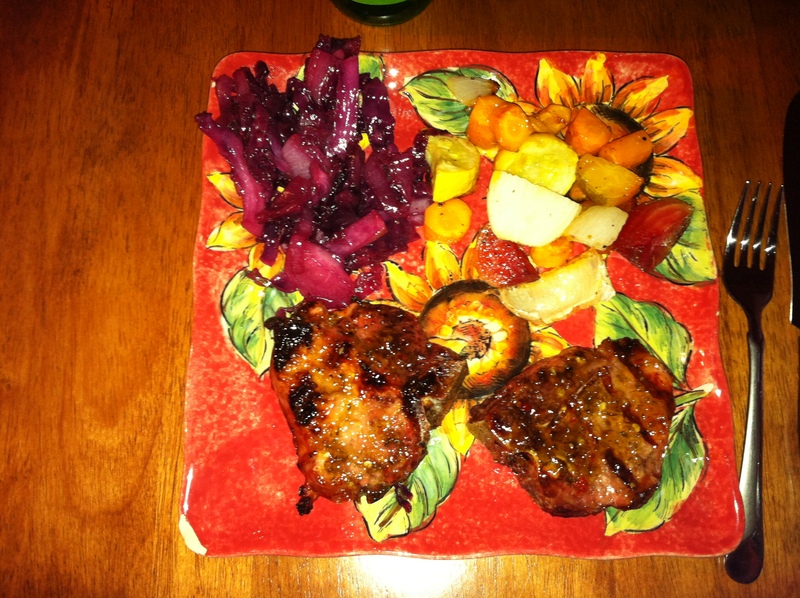 It included carrots, beets, pork, honey, maple syrup and cabbage. Every bit of it produced within 30 miles of my house. Without getting on a soap box about eating local, I can tell you that there is nothing quite so tasty as a vegetable grown in your backyard or just down the road. When you put your food on the plate and it is composed of whole and delicious foods there is a sense of pride and accomplishment and a feeling that you are providing your family with a healthy meal packed with nutrients. So the moral of the this story? Whether you are into the localvore movement or growing your own food or not, a visit to your local farmer’s market is always worth the trip and you never know what kind of practical magic it might inspire.